Light up the party with custom printed bar/bat mitzvah 30 strike matches. Totally personalizable, you can easily create these party favor matches to coordinate with any party theme. Customize a design below or style your own today! 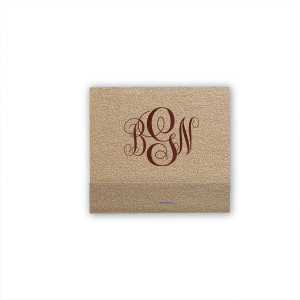 Give your custom designed bar/bat mitzvah matchbooks some extra shimmer with For Your Party’s 30 Strike matchbooks. These personalized bar/bat mitzvah 30 strike matchbooks are made to impress. 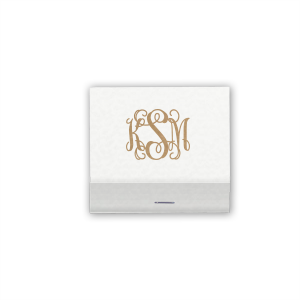 With 10 matchbook colors to choose from, and endless foil stamping color and sheen options, you're sure to find a look that complements your bar/bat mitzvah theme for your personalized matchbooks. Upload your own design for ultimately unique and luxurious custom designed bar/bat mitzvah 30 strike matchbooks. Your party guests will be happy to take home such an elegant party favor. 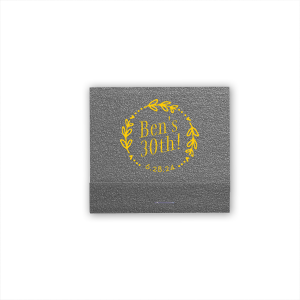 Customize your personalized bar/bat mitzvah 30 strike matchbooks today!